Living in a van has made me aware there are things we need within our immediate reach and things we don’t. What do we do with our seasonal items and how do we make use of our space in the most efficient way. Traveling with gear like, bikes, surfboards, suitcases, skateboards, the list goes on. We are all uniquely wonderful in the things we keep at our fingertips. 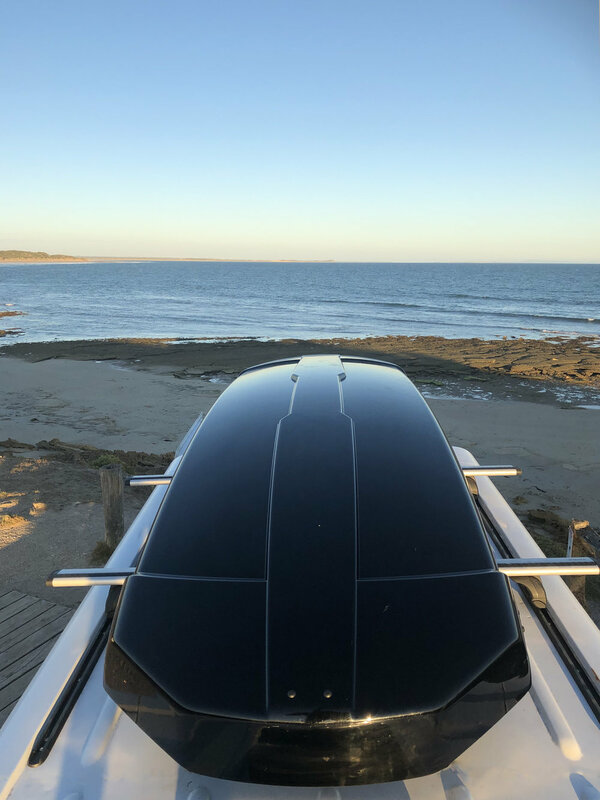 Thanks to this 610L, stylish and spacious cargo box we no longer have to share our space with work tools, sewing machines, or extra bedding and big warm jackets for the winter time. The Thule motion XXL cargo box is designed to cater for all of your extra storage needs. It has been constructed to provide maximum efficiency with space, vehicle fit and aerodynamics. This Thule design carries 75kg of storage weight. It is easy to mount thanks to the extra wide, pre-installed PowerClick quick- mount system. The integrated torque indicator “clicks” when its properly mounted, ensuring fast and secure fitting. The cargo box has double sided access ,its easy to open and close due to its grip friendly outer- handles and supporting lid lifters. Other stand out design features include a black gloss finish, two internal straps to secure different sized loads and a slide lock system with seperate opening and locking functions, automatically locks the lid in place and indicates when the box is closed securely. Thule also supplies an array of other boxes to suit your storage requirements. 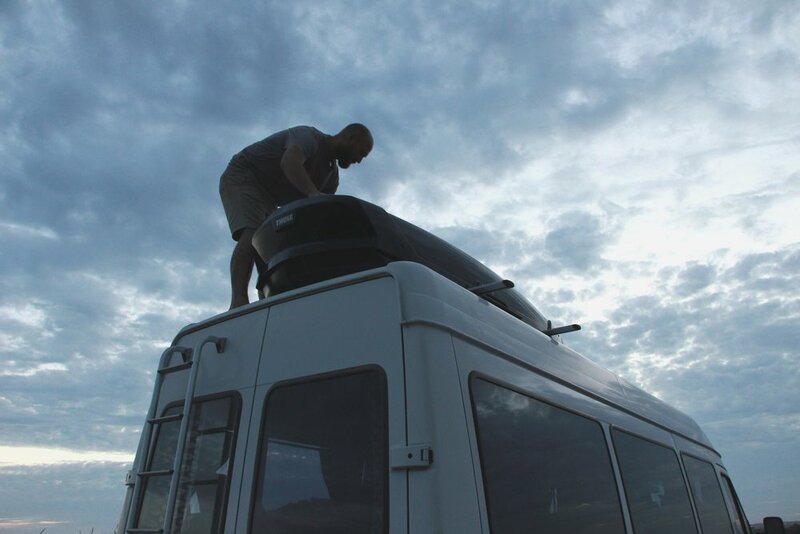 Our home on wheels is a Mercedes Sprinter with a high roof, so to gain access we also needed a six step ladder, Jared or myself will climb up on to the roof of the van and pass things down to one another, we usually keep things in there that we don’ necessarily need on a day to day basis. Thule is one of the best regarded manufacturers of cargo boxes out there, and with this product, you definitely get what you pay for. Practical storage space is imperative to me for a happy home on the road.